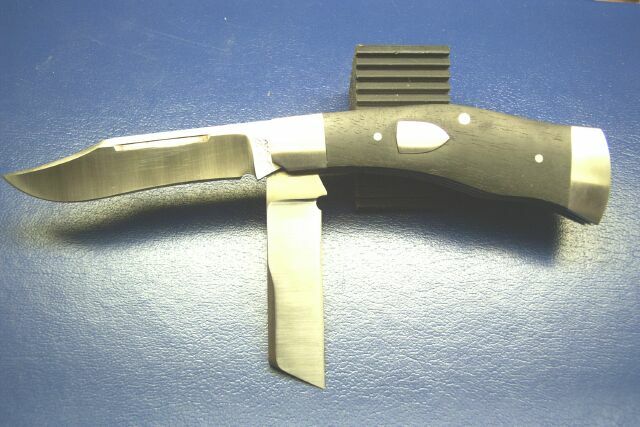 All my knives are built using stainless thru construction Blades currently of ATS-34 , Liner material 410, and Bolsters of 416. 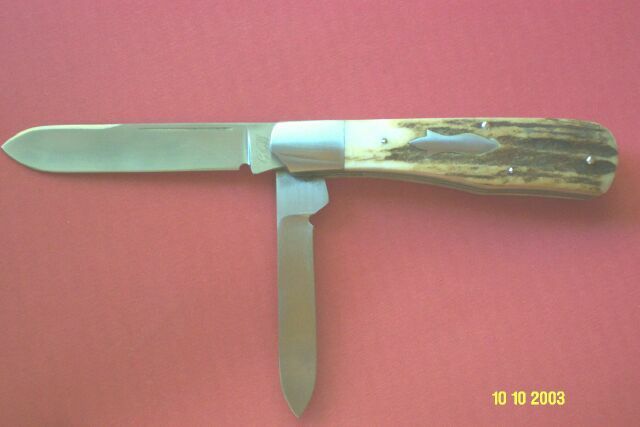 Pins are stainless or nickel silver depending on the knife and of course any handle material you can think of. If you see something you like here lets talk about it! 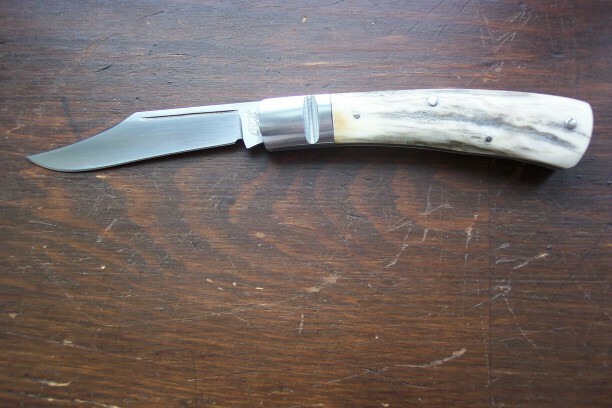 Finished Elk Antler clip point slip knife. Hand rubbed ATS-34. 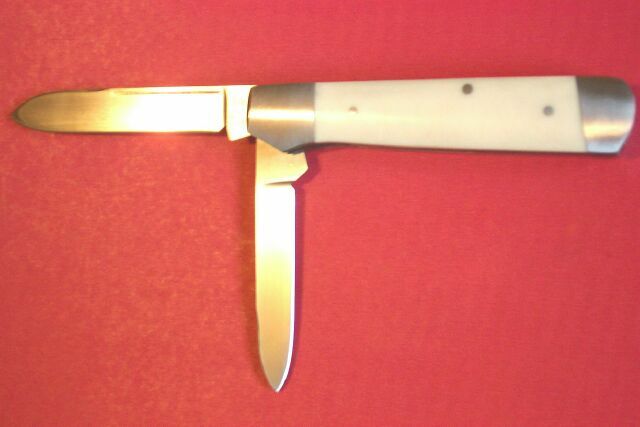 Very positive open and return, barehead style slim knife with beautiful balance and proportion. Its a keeper unless it sells!...thanks for looking. 350 shipped. 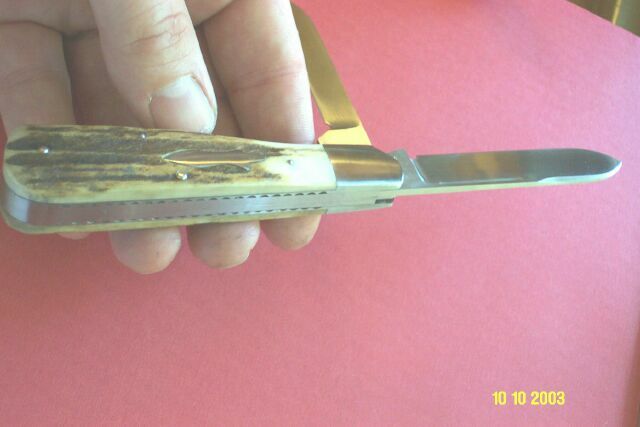 Chocolate brown standard 2 blade jack. 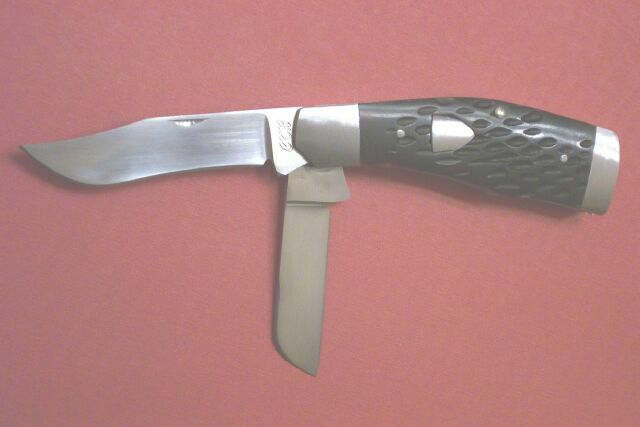 Clip and sheepsfoot blades. Crescent pulls. Stainless thru construction. 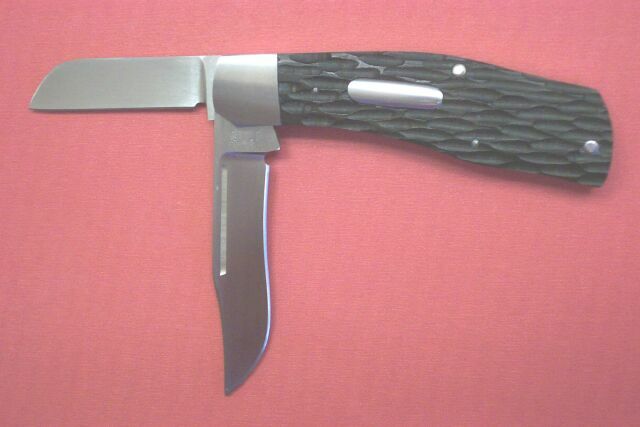 This model can be made with super slim coping blade as seen above rather than a traditional sheepsfoot. 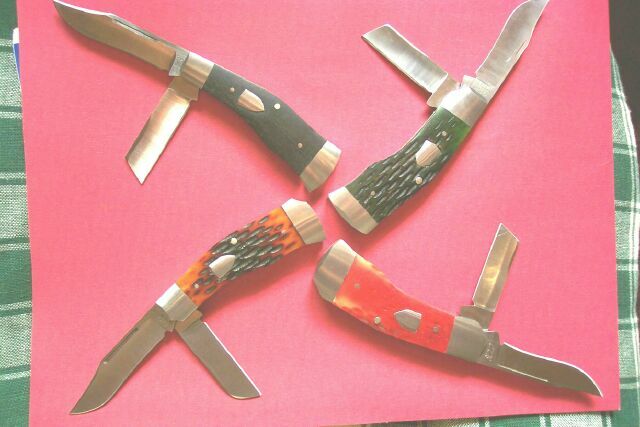 Spoked wheel 'o' knives.. Red bone, Green bone available please inquire. Sold or given away to friends. 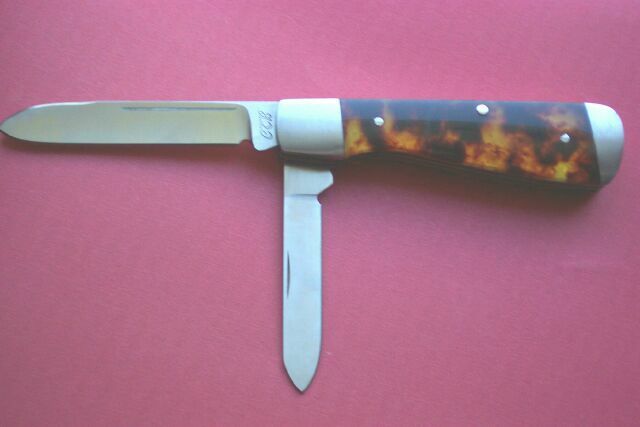 Tortoise shell celluloid 2 blade jack with large and small speer style blades. Straight pull on main and crescent pull on secondary. Imitation Ivory made from polyester, suprisingly nice to work. Features same as above. 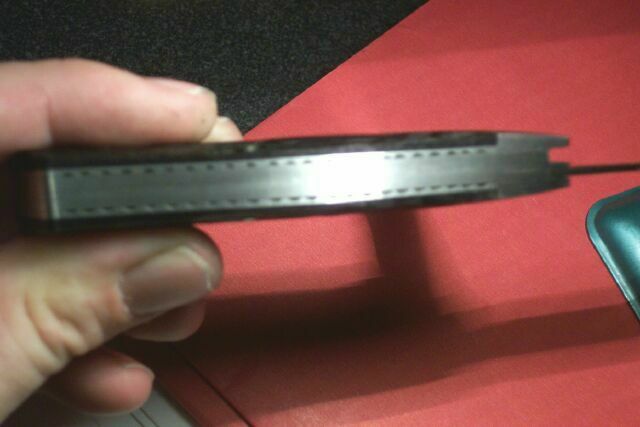 The finished result really impressed me, non -shrinking and non-yellowing.